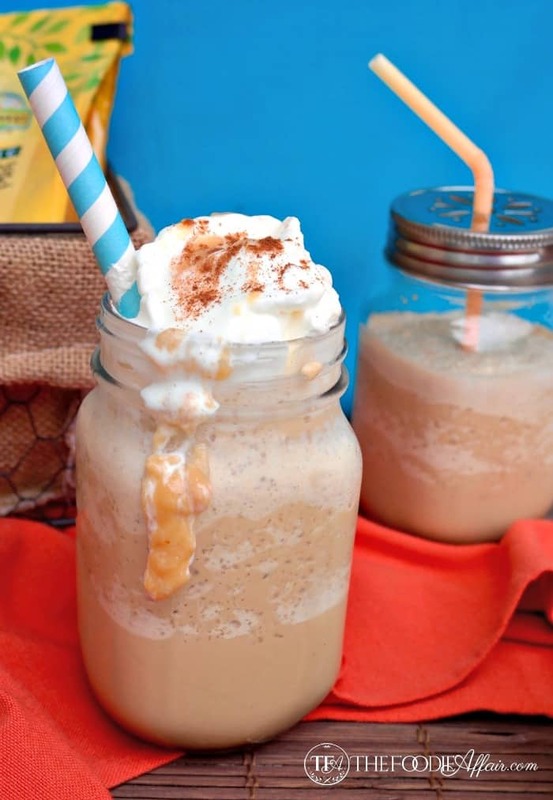 Dulce de Leche Frappe is a cold coffee beverage flavored with a homemade caramel sauce. Frappe de cafe is easy to make and a fraction of the cost of the drinks you can purchase at a coffee shop! This post was originally published April, 2015. Additional content and photos have been added March, 2019. 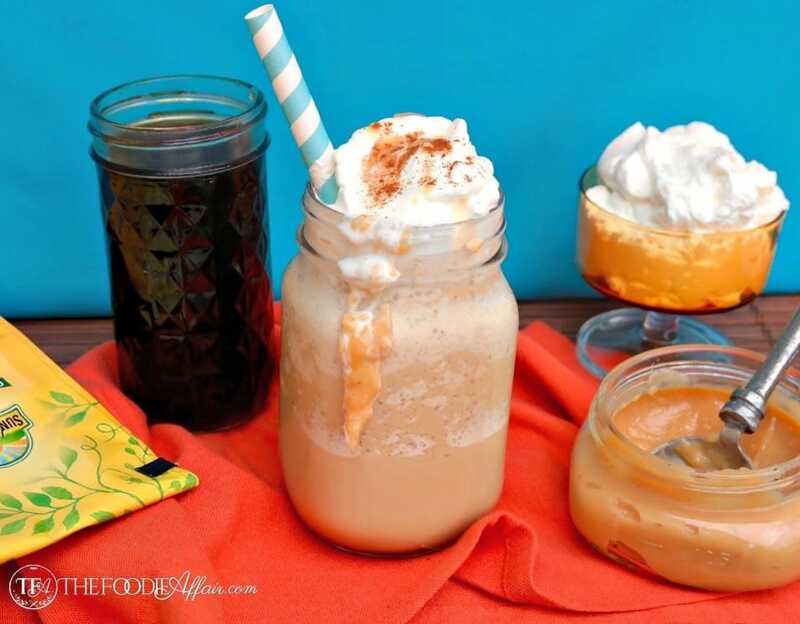 This ice cold blended coffee drink with decadent caramel dulce de leche is not only delicious, but made completely from homemade ingredients that I know you’ll love! 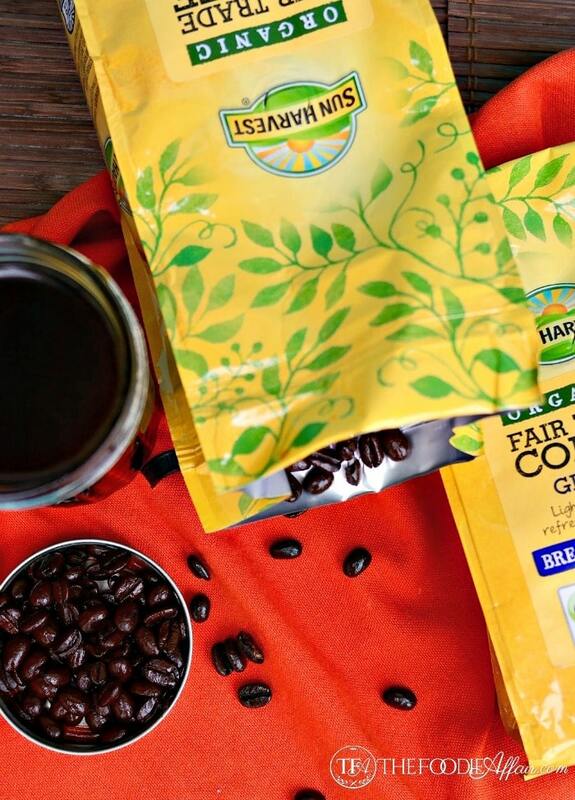 You’ll be pleased that the coffee concentrate used in the drink is cold brewed from organic fair trade coffee! 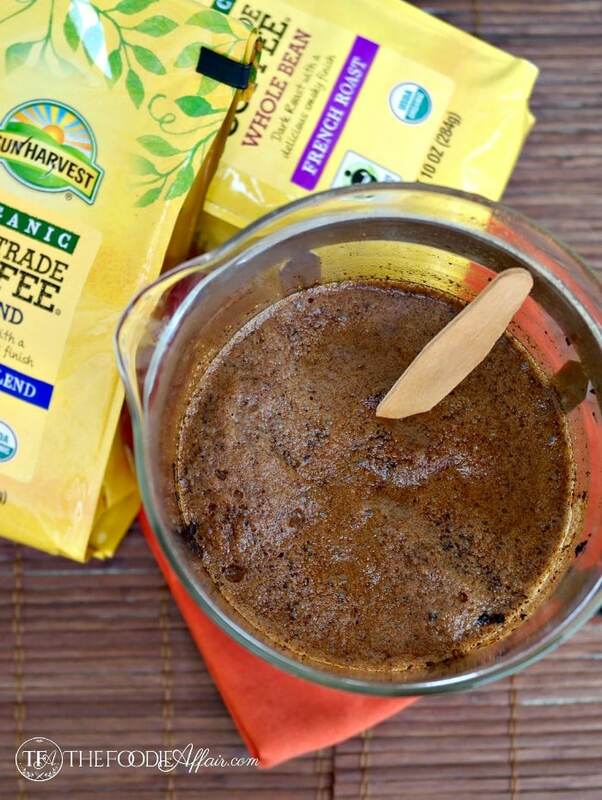 For this recipe I used Sun Harvest brand a fair trade and organic brand. We love everything from the smell of coffee brewing to the rich bold taste as well as the bit of jolt from the caffeine! Every day we have a couple of cups. First thing in the morning and then a cup at work, but as the weather starts to warm up we treat ourselves to iced coffee and blended drinks, especially during the weekends! To make this blended frappe, I started with a cold brew concentrate using my coffee press, which yielded a smaller batch than the recipe in this Coffee Concentrate for Iced Coffee, but with the same delicious results. Now you have coffee concentrate ready to make iced coffee and this frappe! 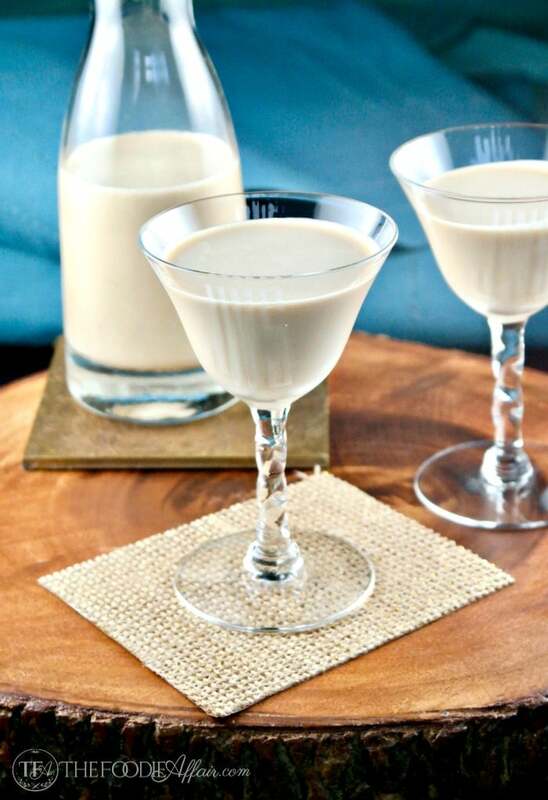 First, make sure you have a batch of Dulce de Leche Sweet Milk for this recipe. Be warned in advance, you are going to be tempted to eat it by the spoonful! 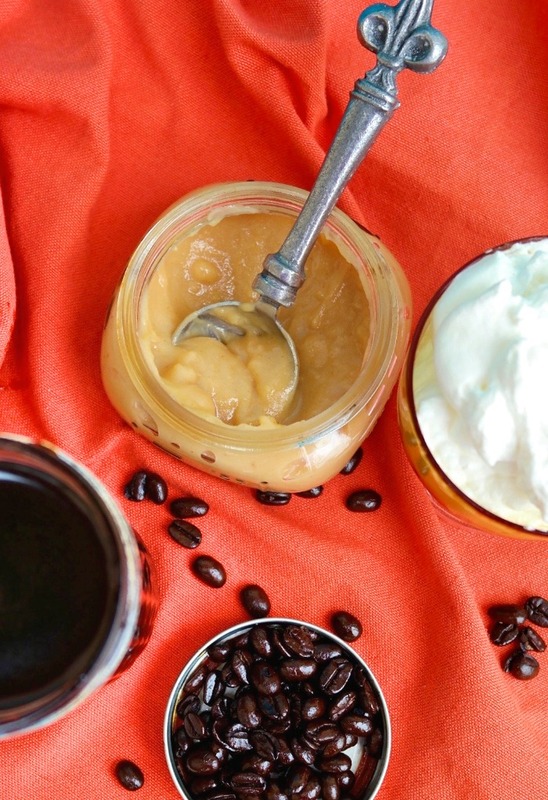 You can also purchase dulce de leche premade. You’ll find it in Latin stores near the baking section. Popular grocery chains are also carrying it. Look where the sweetened condensed milk it stocked. Add the two together with a splash of milk and a couple cups of ice for a decadent coffee drink! Pour in a glass and topped with whipped cream and cinnamon (optional). How Many Carbs Are In A Coffee Frappe? In this homemade version, there are 20 carbs and 14 grams of sugar. Depending on your diet, this may be a whole days worth of carbohydrates, so enjoy as an occasional treat! Note that a similar Caramel Frappuccino from Starbucks is 67 carbs and 66 grams of sugar. Also, take a look at Starbuck’s ingredient list. This will convince you that a homemade coffee frappe version is the better choice. Enjoy! To keep this beverage sugar free add a caramel sugarless syrup in the place of the dulce de leche. Are you aware that April is Earth Month? 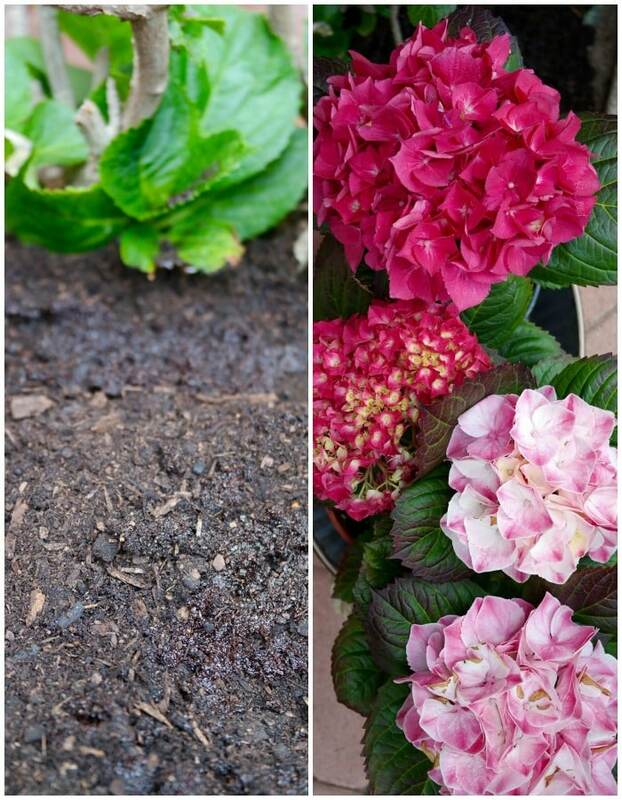 I thought I would mention that you can use your used coffee grounds for mulch in your garden. Several coffee houses are now giving away grounds for that specific purpose! Coffee grounds adds organic material to the soil, which improves drainage, water retention and aeration in the soil. In addition, the used coffee grounds adds a nutrient boost that can help plants thrive. Some coffee loving plants are hydrangeas, camellias, gardenias, and rhododendrons! Sip a Dulce de Leche Coffee Frappe while enjoying the blooms of Spring! 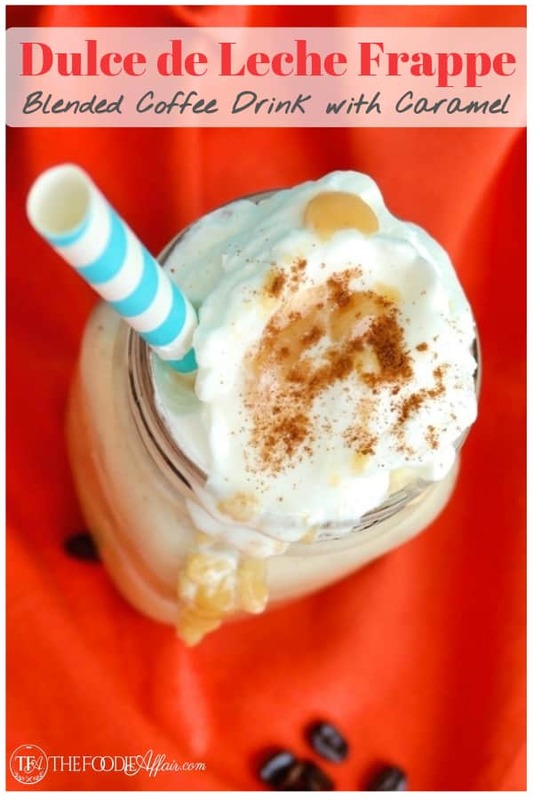 Enjoy this copy cat Starbucks frappuccino or frappe de cafe using coffee concentrate, sweet caramel sauce, and milk blended with ice. Put all ingredients in a blender and pulse until ice is crushed. Top with whipped cream, a teaspoon of Dulce de Leche and a sprinkle on ground cinnamon. Enjoy right away. cream, whole milk or any variety of your choice can be used in this recipe. This is my kind of coffee drink! Delicious! Can’t wait until our trees and flowers are in full bloom! It’s so nice to change up a hot drink to this tasty cup of java. Spring is such a beautiful time of year! I would love to hear that you or someone I know is a winner! $25 always comes in handy! Looks delicious, Sandra!! I could definitely go for a coffee like this! This is making me DROOL! How delicious it sounds! Can’t wait to try it for myself! How refreshing!!! Will definitely be trying! I think this will become one of your favorite coffee drinks, Lori! I love everything dulce de leche! and this looks so good! Isn’t the flavor of caramel amazing! It’s extra delicious paired with coffee! THat looks so good! I love dulce de leche. No, this store is no where neat me unfortunately! This drink sounds to die for and I may try making it with a different strong brand coffee. I am really glad to hear that coffee grounds are being donated in the California area–they do need better water retention there! I couldn’t agree with you more, Michele! We really need to get creative with rationing all the water we can. One small step by using coffee grounds in gardens, but it’ll help! That frappe looks so inviting. And, I definitely love the idea of using coffee grounds for good rather than filling up the land fills. Thanks, Laura! 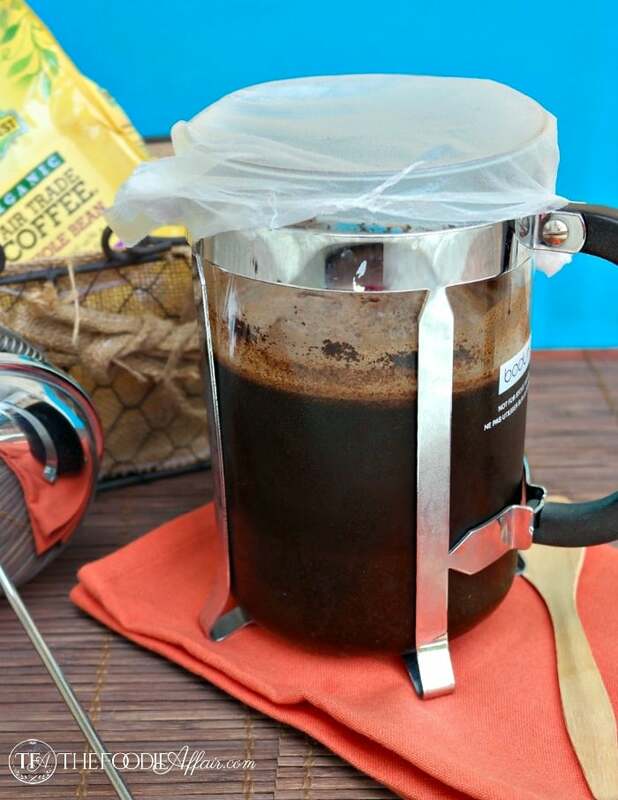 You can even use the coffee in compost with the coffee filter! This looks amazing! I have so many jars like that with lids and stars from Michaels. I love making smoothies and fun drinks in them. I’ll have to give this one a try! Just the drink for the coming summer months. I can get coffee grounds from Starbucks in my area. This drink is refreshing when it’s warm out! Great source, Norma! I know around here we need to ask the coffee shops to save the grounds! This is right up my alley! I love these drinks without spending a fortune at a local coffee shop! 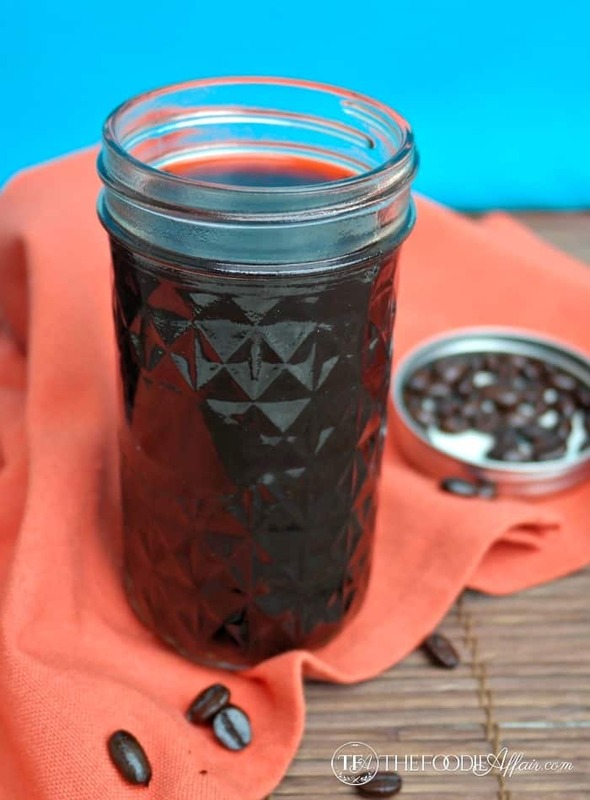 My coffee addiction is strong, and in no danger of going anywhere thanks to this yummy recipe. I wish I could make gallons and store it, but I know I’d probably end up drinking it all right away anyway. HeeHee! This is perfect for you then. The coffee concentrate is really perfect for blended drinks. You definitely will get a java jolt! That looks absolutely amazing! Yum! I bet that tastes 100 time better than what I’m drinking right now! This looks super amazing!! Sounds delicious for sure! This recipe is one that I know I’d love!! Looks so incredible! Great post, Sandra! I am a sucker for any type of coffee drink. This one looks absolutely amazing. OH boy is this refreshing drink going to make a lot of people happy! I really wish I had this for a mid-day pick-me-up! Looks delicious Sandra! Those look so yummy! For some reason I spent a lot of time drinking out of a jar in the summer. I think one of these in the morning would keep me buzzing and awake all day long. Delicious! Sandra, your frappe looks absolutely incredible! I can only imagine how wonderful it tastes! Self proclaimed coffee addict here! Never thought that coffee could go along with dulce de leche. Can’t wait to try this at home. This is perfect for this coming summer season. I’m not a coffee drinker but your drink certainly does look good. Dear Coffee, please get in my cup, now! lol! This looks awesome!